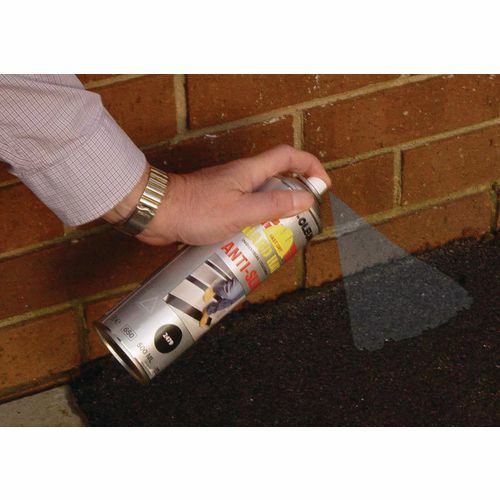 A black slip-resistant aerosol spray for use on ramps, steps and most floor surfaces. Suitable for use on most non-porous surfaces such as: floor tiles, painted floors, fibreglass, etc. Simply spray onto a clean dry surface for "instant" slip resistance. Suitable for light-medium pedestrian use. Sold per pack of 6 cans.